A fabulous option for galaxy and moon themed décor is wall art, and with sites like Etsy and Society6, options are basically endless. I couldn’t take my eyes off the pastel explosion that is artist Marta Olga Klara’s Moon Print from Society6, but it doesn’t stop there. 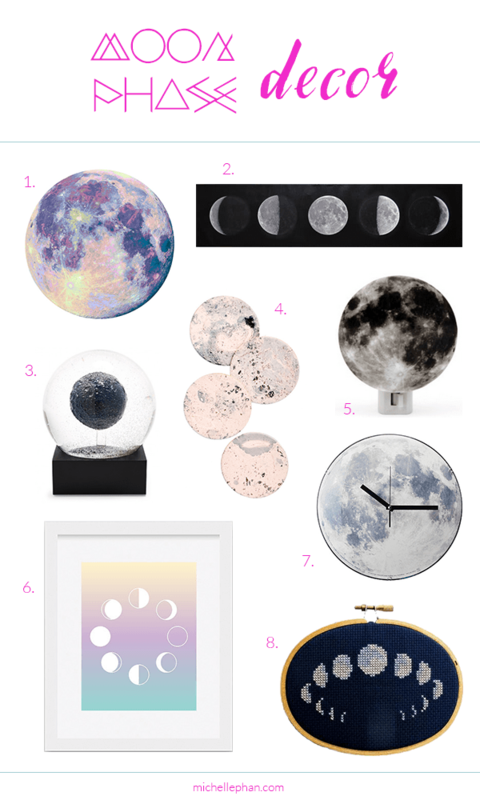 Moon phases are so fascinating and evolution is art in itself, so both this Monochrome Moon Phases Canvas (perfect for above your bed) and pastel printable from Nomad Printables are ways to satisfy your art craving. If these ready-made options aren’t to your liking, why not craft a moon-themed masterpiece yourself? Get a little help starting with this DIY Moon Phases Cross Stitch Kit from Scoutmob Shoppe which comes complete with a full color pattern card and legend, a hoop, fabric, floss and needle. Or, you could always start with a tutorial from a blog like Oh Happy Day with these DIY moon phase piñatas that you can string together for a wall garland. Throwing a party in honor of your newly made piñata = optional. 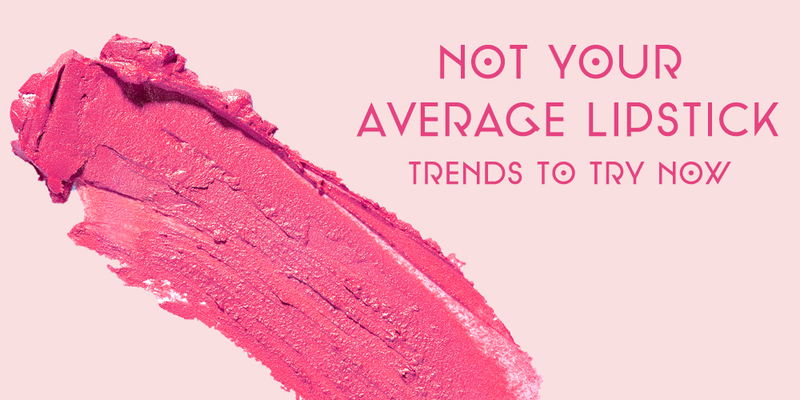 For small spaces, functional is the way to go – you won’t have a ton of empty walls for décor. Well, what’s not functional about a moon clock?! Or there’s LEIF’s Moon Leather Coasters, which are moon-textured coasters inspired by the Japanese ink marbling technique and available in three shades. Now, the Crystal Moon Snow Globe is slightly less convincing when it comes to functionality, but as for uniqueness—it wins. Lastly, no shame in wanting a night light, especially when you can have the moon in your room. No one will say a thing about plugging in this moon light to find your way to the bathroom at night. Do you have anything space-themed? Try my DIY Galaxy Print for more space decor.